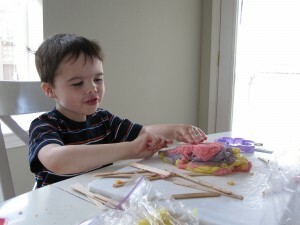 Sensory activities are always a huge hit around here. 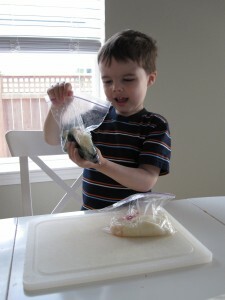 My son loves exploring, squishing and the pretend play that always seems to accompany play dough play. 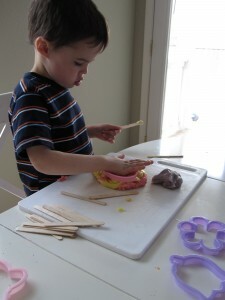 Adding scents to your play dough simply makes something every day a little more novel and exciting.He played with this play dough forever. 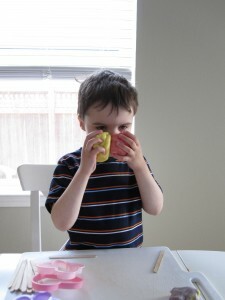 I originally only gave him half of each scent/color so we’d have some reserved for later, but then gave in. He was pretending to make and ice a cake on his youtube video. 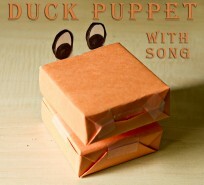 It was hilarious and great pretend play. Gather your materials. Today we made Bisquick Playdough (click for the recipe), I like this one because the playdough is very white and is easy to color. 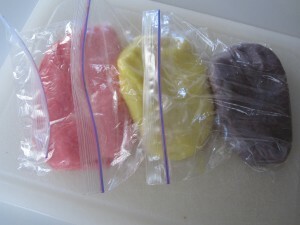 To make the play dough scented we used flavorings ( Banana, Strawberry, and Cherry) and food coloring. You can also use Kool-aid. 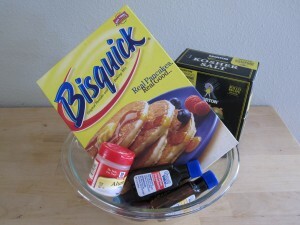 Also, grab a few zip locks for adding the flavor and color to avoid stained hands. 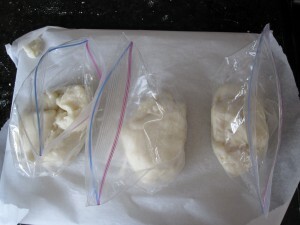 After kneading the dough per the recipe, separate the dough into one bag per scent/color. Add the coloring, close the bag and have your helper help. He mixed it some, but I did the majority of mixing, it takes some time. Chill the dough until cold. This makes it less sticky. 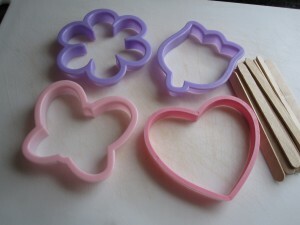 Gather some fun tools to play with – I love cookie cutters and popsicle sticks. 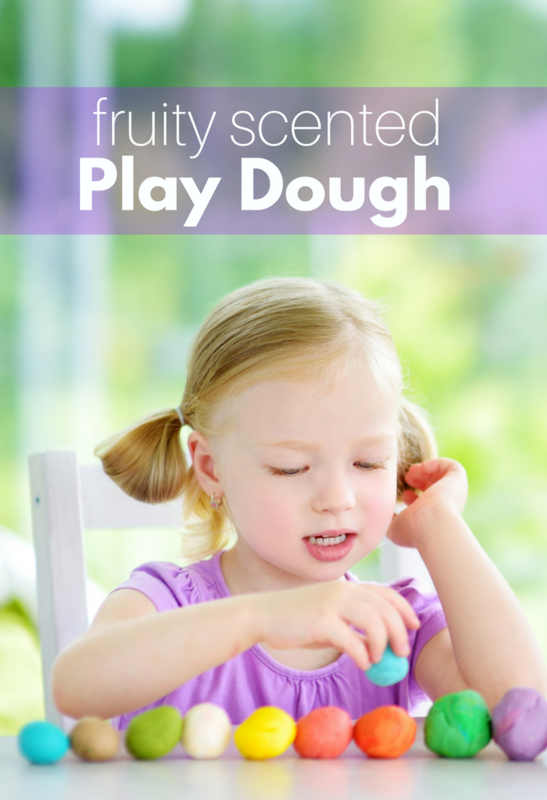 Smell see if your child can identify the scents. One big happy, smelly mess. 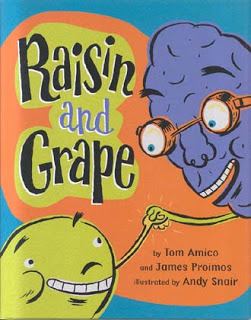 Raisin and Grape by Tom Amico and James Priomos is a hilarious and sweet book more about grandpas and grandsons then about grapes and raisins. 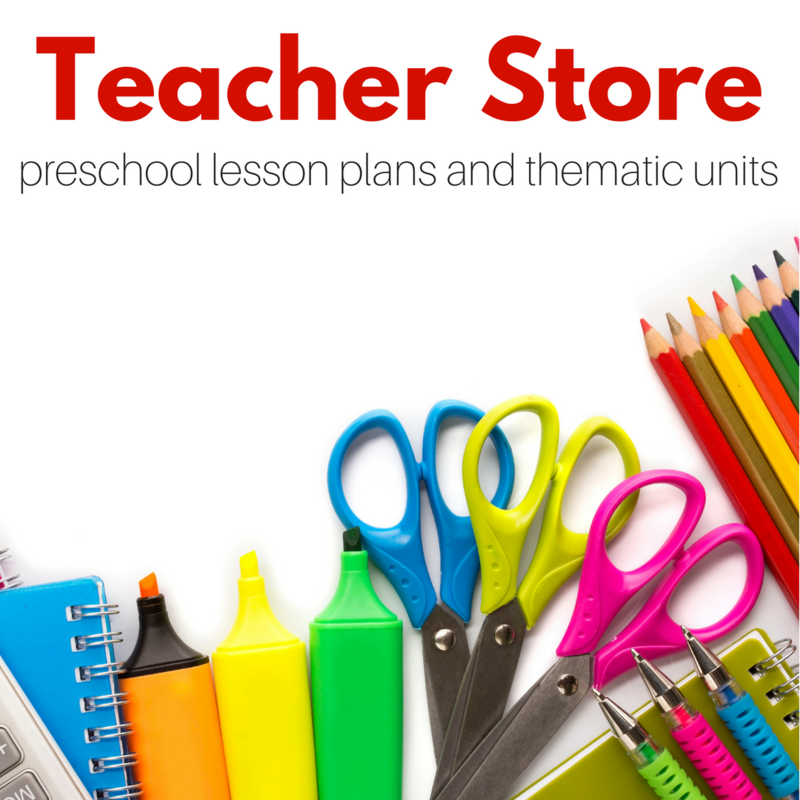 The dry, sarcastic humor will keep parents happy ( or if you aren”™t into that you”™ll hate the book) while the funky illustrations and simple text will keep your little ones interested. 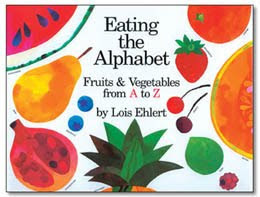 This is a great book for older children to read to younger siblings, the text is easy enough for novice readers and they will think it”™s funny, especially the part about armpits! My son is so into his grandpas right now that this was a huge hit and I love that it can also be used to explain that raisins are dried grapes. Grab this, sit down with some grapes and have fun! 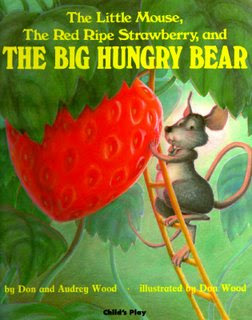 The Little Mouse, the Red Ripe Strawberry, and the Big Hungry Bear by Audrey and Ron Wood is a fantastic book that children adore! 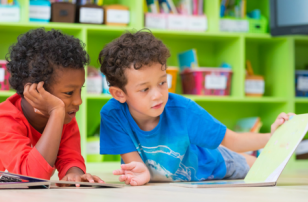 The story is not only unique in that the narrator speaks directly to the mouse, but its illustrations will enchant your child”™s imagination and make the most overtired parent smile. The little mouse is trying to keep the strawberry away from the bear, and his adorable attempts to hide it make my son laugh every time! Great book! Previous Post: Math’s a blast! Oh, I’m definitely stashing this one for the rainy days we’re supposed to have this week! How long does this “play-doh” keep? 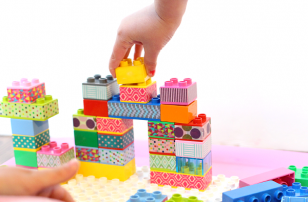 .-= Jennifer @ The Toy Box Years´s last blog .."Completing Him" Challenge – 6/7 through 8/9 =-. If you keep it in the fridge it keeps for many many months. 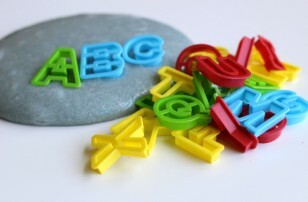 I have one batch of mint playdough that I made over a year ago… still good ! I make some pumpkin pie spice playdough for Halloween but hadn’t thought about the flavoring for the scents. Great idea!! 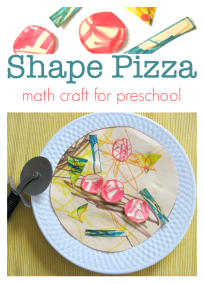 I have made playdough with koolade before and was pretty happy with the results. I think we just used flour, oil, salt and the koolade. Cheep easy fun. And ours lasted for months! Excellent, I’ve been saying I really need to make a new batch of playdough for a while (as my daughter uses and reuses the glittery peppermint scented Christmas playdough…). Now that school is ending I should get on and do that, I think I have lemon and orange oil both in the cupboard for a start. Love the mouse book. We use the mouse as a visual for ‘quiet.’ I also like – How Are You Peeling? 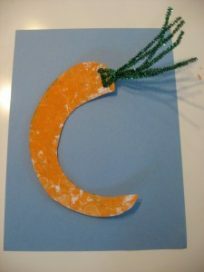 .-= Roxanne´s last blog ..Book Review: Little Smudge =-.